Train in Jersey. Work in Jersey. Earn more in Jersey. The Garden State has always been a leader in technological advances. From the world’s first transistor created at Bell Labs, to the innovative healthcare firms that transformed New Brunswick from a “college town” to a city that’s become a top destination for not only America’s brightest educators, but also its most brilliant medical minds. And Lincoln Tech, the school that defined a new level of excellence in hands-on technical career training, has its roots here too. New Jersey has also been a leader in the nation’s critical hands-on industries – auto and diesel technology, HVAC, electrical and electronics, welding and manufacturing – which have to grow to keep pace with New Jersey’s growth. For decades, our state was the place to be if you wanted a rewarding, satisfying career doing work that really made a difference. After the stall that followed the Great Recession of the early 2010s, New Jersey’s job market is on the move again – and it’s time you took advantage of it! Right now, there’s a skills gap standing between those growing industries and the talented, driven individuals looking to break into those fields. But how do you build those skills? If you’re looking ahead to life after high school or have a son or daughter who is, or if you’re at a point in your life where a career change makes sense, here are some facts: on average, wages in the Garden State are about 20% higher1 than they are across the rest of the country. There are more than 95,000 positions projected to open in hands-on fields throughout New Jersey in the next 10 years. And across the northern border in New York, the job prospects and pay outlook are just as strong. So how do you get the skills you need to land these jobs? You train with the state’s leader in hands-on education. You train at a school whose Jersey roots are as deep as yours – an education network that started in New Jersey, grew in New Jersey, and is a key partner in building New Jersey’s workforce. You train at Lincoln Tech. No one offers more in-depth auto and diesel career training in the Bloomfield Area, or anywhere else in northern and central New Jersey than Lincoln Tech. Our first campus opened in Newark, NJ in 1946 with a mission to help returning World War II veterans build marketable job skills and re-enter the civilian workforce. More than 70 years later, we have locations in Union, Mahwah, South Plainfield, Moorestown, Iselin and Paramus – and more than 100,000 graduates have passed through our campuses and gone on to amazing careers. 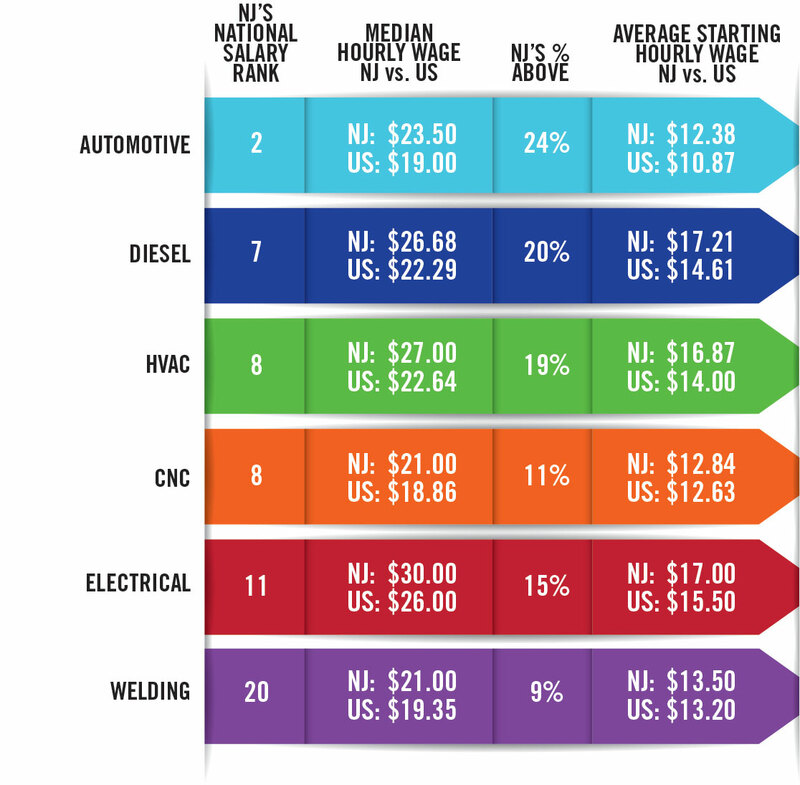 In New Jersey, no one graduates more Auto Technicians, HVAC specialists, electricians and electronics specialists, computerized manufacturing professionals, or Licensed Practical Nurses (LPNs) than Lincoln Tech2. Four out of five Lincoln Tech Jersey grads get hired in their field of study, and in some fields that rate is actually closer to 90%3. Last year alone more than 1,600 different employers around the state hired our graduates – leading employers whose reputations in New Jersey are well-known. In the auto industry, for example, these employers included names like Audi, BMW, Chrysler, Volkswagen, Tesla, McLaren, and Porsche. When New Jerseyans need training that builds better careers, they turn to Lincoln Tech. When Jersey employers need the best candidates for their open positions, they turn to Lincoln Tech. The Lincoln Tech-New Jersey connection runs deep – and the need around the Garden State has never been greater for skilled, hands-on professionals. Your time is now. Get #JerseyTrained and experience what a new career can do for your life. 1 Source: careerinfonet.org for the years 2016-2016. 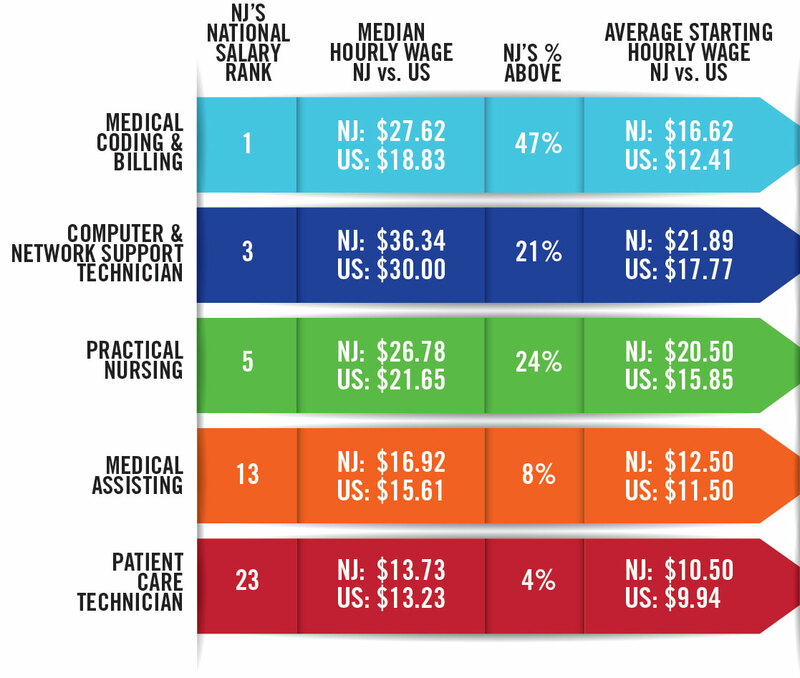 Average median wages are calculated for fields in which Lincoln Tech offers training in New Jersey. 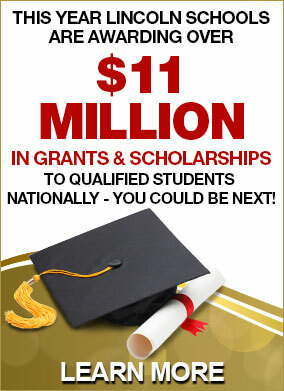 For a complete list of New Jersey training programs available, visit lincolntech.edu/see-all-programs. 2 Based on IPEDS (Integrated Postsecondary Education Data System) data collected for 2015 graduates. 3 Based on ACCSC and ACICS reporting data, available by campus at lincolntech.edu.